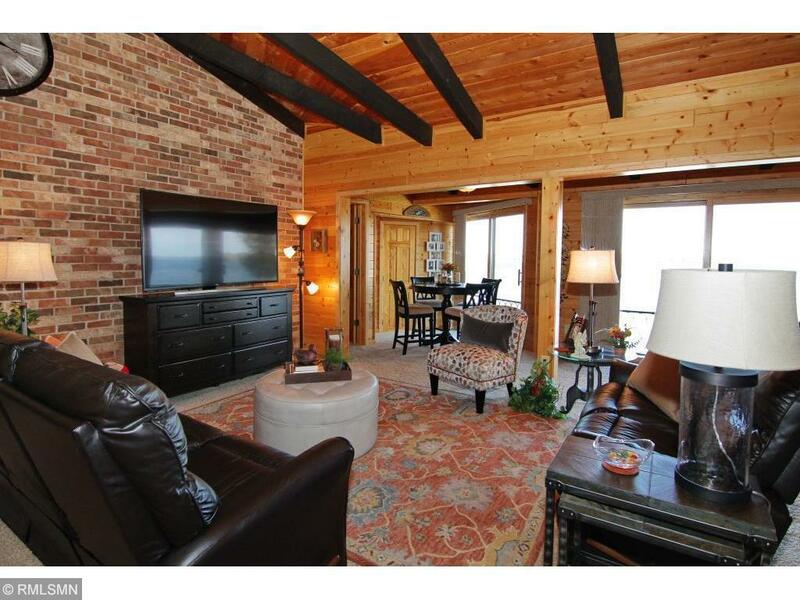 Wonderful 2BR/2BA lakefront condo w/panoramic views of Pelican Lake! Well maintained & updated thru-out! At 1197 fin sq ft, this is the largest unit in Surfside. Vaulted ceilings, spacious LR/DR, sitting area & room for a desk. Kitchen w/newer 42"hickory cabinets, granite counter tops, new faucet, SS appls & brand new ref. Both bathrooms are updated. 6-panel drs. Owners' suite w/great closet space. New window treatments & updated doors. Lovely sand beach & private boat slip. Awesome lake views!